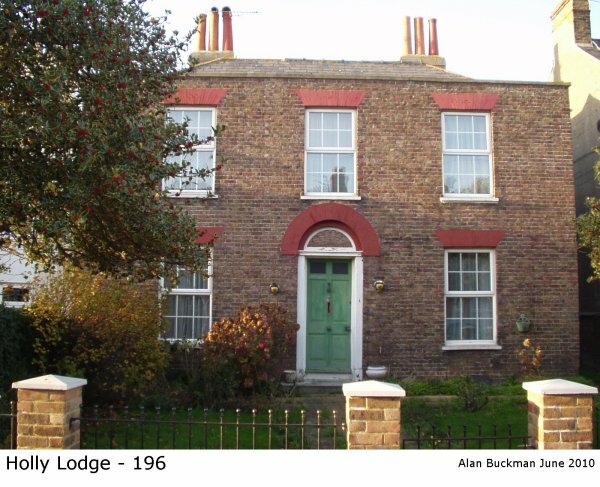 Holly Lodge at 196 Church Path is an 18th century house present on the tithe map of 1843 – the earliest map we have found to date. It has always been known as Holly Lodge. J Lindsell was in residence in 1898 according to Pain’s Street Directory. The directories were usually prepared the previous year so the information can be out of date and may be in conflict with other surveys such as the Census which are very immediate snapshots. From 1903 to 1924 it was occupied by Mr Harry Parker, a Grocer. Then followed a succession of occupiers, Mrs May in 1926, W Hayward between 1927 and 1929. In 1931 it was empty. In 1933 began the long tenure of the Reverend J.S. Powell. He was still there in the 1957 Street Directory. In 1966 H.W.J.Hopkins was in residence. In 2012 the property was renovated.